Designed in New York City, Tanya Taylor embodies a youthful spirit with the integrity of a designer point of view. Each collection is inspired by the power of simple feminine shapes, which are enhanced with an artful use of color, and feature prints that express a sense of optimism and ingenuity. Raised in Toronto, Tanya Taylor grew up surrounded by three generations of fiercely ambitious women whose creative approach to fashion inspired her from an early age. After graduating from her studies in finance at McGill University, Tanya enrolled in a summer fashion course at Central Saint Martins and continued into the AAS Fashion Studies program at The Parsons New School of Design. 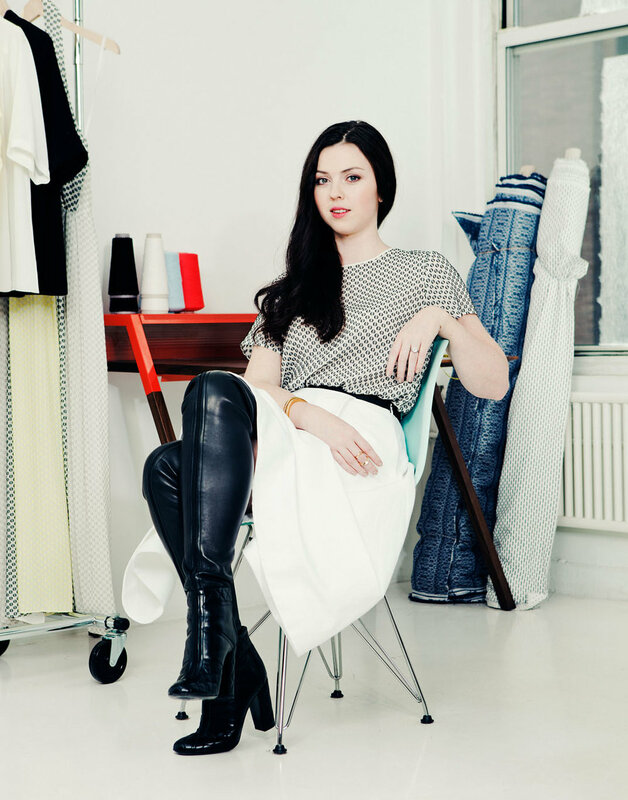 In 2012, Tanya Taylor launched her eponymous collection, which is sold at retailers such as Saks Fifth Avenue, Bergdorf Goodman, Neiman Marcus, and ModaOperandi.com.